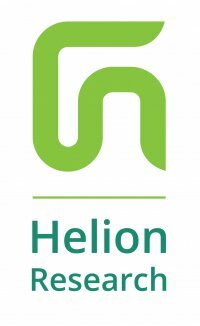 Helion Research is a specialized research agency, with a focus on Customer Experience Measurement, Sales Channel Effectiveness & Business Intelligence. Helion Research is one of the leading research agencies in this highly competitive sector. Based on our extensive experience we are best placed to deliver high-impact insights and create competitive advantages for our clients. The Helion team consists of people originating from all over the world. People with a broad diversity of linguistic, professional, cultural and educational backgrounds. Diversity is important to us. From analytical PhDs over organized Project Managers to highly talented Field Coordinators; they work together in one collaborative approach. We are smarter together. However, our people all share the same DNA: a passion for problem solving. Talented individuals with a collective dedication to stimulate success. We are driven professionals that know how to enjoy life, on the lookout for positive people that want to make a difference.